The Russian leader announced a set of decisions made in response to the Washington-led European missile defense deployment which clearly undermines Russia's national and military-strategic interests. The process is gaining momentum, with the implementation of the program de facto underway in Poland, Romania, Turkey, and Spain and with Russia facing a fait accompli, said President Medvedev in a televised statement. 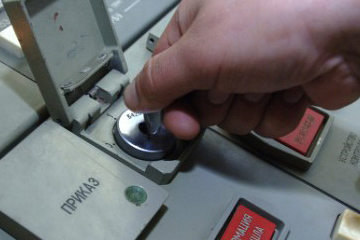 According to the Russian leader who, by the Constitution, is also the Supreme Commander-in-Chief of Russia's armed forces, Moscow will immediately put the missile attack early warning radar in Kaliningrad on combat alert, reinforce, as a priority measure, the protective cover of Russia’s strategic nuclear weapons under the programme of developing the Russian air and space defenses, start equipping the new strategic ballistic missiles commissioned by the Russia's Strategic Missile Forces and the Navy with advanced missile defense penetration systems and new highly-effective warheads, and draw up measures for disabling, if necessary, the missile defense system data and command and control systems. President Medvedev stressed that the above measures are adequate, effective, and low-cost steps and warned that if they prove insufficient the Russian Federation would deploy modern offensive weapon systems in the west and south of the country – the Iskander missiles in Kaliningrad Region, in particular - to be able to destroy the US missile defense system in Europe. Other measures to counter the European missile defense system will be drawn up and implemented as necessary, the Russian President added. If the situation continues to develop not to Russia’s favour, it reserves the right to discontinue further disarmament and arms control measures. Besides, given the intrinsic link between strategic offensive and defensive arms, conditions for Moscow's withdrawal from the New START Treaty could also arise, because this option has been enshrined in the treaty. The Kremlin nevertheless made it clear that Russia keeps the door open as far as the missile defense dialogue with the US and with NATO as a whole is concerned. President Medvedev indicated that Moscow might agree to appropriate modifications of its proposal for a sector-based Russia-NATO missile defense system in Europe provided that the essentials of its offer remain in place. “At the NATO-Russia Council summit in Lisbon a year ago, I proposed developing a joint sector-based missile defense system in Europe where every country would be responsible for a particular sector”, remarked President Medvedev. - “Furthermore, we were ready to discuss additional modifications to the system, taking into account our NATO partners’ views. Our only goal was to preserve the basic principle that Europe does not need new dividing lines, but rather, a common security perimeter with Russia’s equal and legally enshrined participation”. In Medvedev's view, the approach opens up unique opportunities for building a genuine Russia-NATO strategic partnership within which equality, indivisible security, mutual trust, and predictability would prevail over frictions and confrontation. “Regrettably, the USA and other NATO partners have not showed enough willingness to move in this direction”, said President Medvedev. President Medvedev's address on missile defense is considered here as a military and political statement of exceptional national importance. It is an open secret that it has been long-awaited in Russia considering serial attempts made by the leading Western countries to deny Moscow the right to participate in the proposed project on an equal footing, that a great nuclear power deserves. President Medvedev thus sent to the countries intending to create a threat to Russia's national security interests and to explode the regional and global strategic stability a clear message that those who present others with serious problems would earn problems of the same kind for themselves. What he called for is: do not provoke Russia or see it as an adversary it used to be in the Cold War era, act really rationally and responsibly in the international politics rather than just talk about rationality and responsibility, and do not resort to the apparently hopeless provocations which in any case will be desrupted by adequate military and technical means chosen by Moscow. The significance of the November 23 statement also stems from the fact that it serves to reinforce Russia's positions in other domains of the arms reduction and military activity limitation, where progress can only be achieved on the basis of equality and equal security. The President certainly gave a boost to the confidence and morale of the Russian armed forces vis-a-vis the serious peril which can be bred by the deployment by the US and other NATO countries of the vast multi-layered and large-scale missile-defense infrastructure in the proximity of Russia's borders parallel to the current modernization implemented across the US strategic nuclear arsenals and US/NATO tactical nuclear weapons in Europe. Under these circumstances, Russia's position on missile defense must be fully supported and credited with being the only right response combining a call for a number of Western nations to act rationally and responsibly with a warning about the potential negative consequences of the destructive decisions reached in terms of Russia and for diminishing security all over the globe. As President Medvedev's statement shows, Moscow hopes that its sensible arguments will be heard in respective Western capitals. At the moment, there is still time to change the situation for the better. But one has to realise that Moscow's patience has its limits. 46: 30 seconds to mars. The Kremlin Signals the Need for a Sensible Approach to the European Missile Defense and Warns that Moscow's Patience Has Its Limits23 November 2011: The Kremlin Signals the Need for a Sensible Approach to the European Missile Defense and Warns that Moscow's Patience Has Its Limits! лучшие комедии. The Kremlin Signals the Need for a Sensible Approach to the European Missile Defense and Warns that Moscow's Patience Has Its Limits.